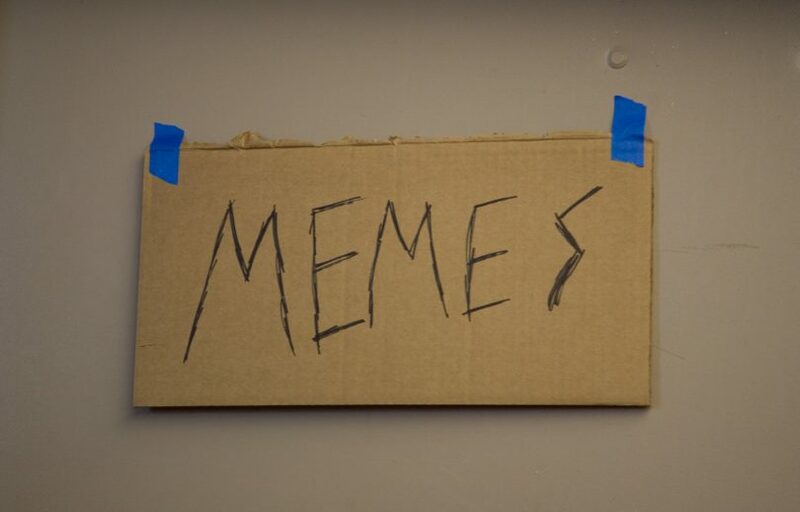 Image: “Memes” by Scott Beale is licensed under CC BY-NC-ND 2.0. Ironic humor is something that the internet has reveled in for some time. The ability to make jokes at the expense of anyone and be completely free from the burden of consequence has been a part of internet culture for some time. All in all, it didn’t seem like very much to worry about, but on March 15, a gunman and self described ‘eco-fascist’ in New Zealand killed 50 innocent people after live-streaming himself in the act, during which he blasted the song “Gas, Gas, Gas” in his car and shouted “Subscribe to PewDiePie,” both memes being prevalent in internet culture. I want to preface any argument I make by the fact that I don’t, nor will I ever think, that these sites, creators or memes are to blame for the travesty in New Zealand, but I want to talk about the responsibility of influence. Many devout followers of PewDiePie have been quick to defend him, saying that he was mentioned by the shooter due to the shooter’s intent of sowing a divide between his fans and the media. But to say that his name was mentioned for no other reason than division is, frankly, willful ignorance. If a fascist is trying to influence people to accept their point of view, they wouldn’t tell the world how they would do it, as fascists openly talk about a method they describe as “hiding their power level.” They would rather coax a person into believing their ideals before revealing where they align on the political spectrum. The edgy humor that the gunman used is a subsection of meme humor. While both are based upon low effort recognition of cultural norms, edgy humor relies on a two-fold awareness. One: that the idea of the joke is something that is not commonly accepted as appropriate by the general public. Two: both the reader and creator understand that the joke is intentionally offensive and is not actually the creator’s beliefs. PewDiePie ran into trouble for this type of humor when he released a video discussing the sketchy practices of the website “Fiver,” in which a person can pay another group five dollars in order to write anything that the customer desires. In his video, PewDiePie paid a group of South Asian villagers to write a sign with the phrase “Death to All Jews,” claiming that his intention was to point out the absurdity that people would go through for 5 dollars. The problem with such humor should be very obvious. The nuance of accurately getting across the notion that a person is aware that what they are doing is incredibly offensive is nearly impossible to actually achieve. To many people who see a comedy channel posting something like this, they don’t see the intent (even though it was in poor taste regardless of what point he was trying to make). They just see that a person is laughing at an anti-semitic sign, which not only normalizes the behavior but can lead people down the path of radicalism. PewDiePie is an easy to use example because he is extremely popular, but that is not to say that this type of humor is limited to high profile YouTubers. In fact, it is sadly a common part of internet culture, and anecdotally, I have seen it corrupt social groups that I used to be a part of. What happened in New Zealand was not the work of a monster who was corrupted at birth. It was perpetrated by a human who had rational thoughts that lead him down this path. To strip away his humanity is to hide from the truth of how such things happen, and the meme culture that he surrounded himself with should be examined in order to understand how he got here, because he didn’t become what he did because of a mental deficiency. The main problem with edgy humor is that it creates a fundamental belief that whatever is being joked about should be mocked, and it is impossible to create such a joke without an air of superiority. The catch all that is normally used to protect this humor is that the person is a degenerate themselves, but that is normally an unnecessary correlation. The person claiming to have low social standing is appealing to their individuality. The edgy joke is at the expense of a group of people and it is incredibly easy, then, to go for the low hanging fruit of groups that have been historically placed in a lesser position by society. The other excuse is even more problematic, as many will be quick to defend jokes due to the fact that they are comedic and that the person didn’t really mean it. This creates a kind of immunity to criticism that allows people who do not intend to be humorous to swoop in and claim that anything they say is a joke. They have the safety net of going to a place on the internet, spreading hatred and if their words are not well received, they can simply chastise the critic for not going along with the joke. Then, others who see the internet as a place to relax will naturally attempt to take the side of the person trying to make a “joke” because the other is branded as a buzzkill or a party-pooper. This is the problem when trying to seed out people who are serious and people who are not when they are “sh*%posting,” as it is commonly described. Once a person is exposed to enough of these posts, they are susceptible to believe what they post and no longer attempt irony. They can be led further and further astray by the fact that their posts are also surrounded by ironic posts, so it is next to impossible to set someone straight after they have been radicalized. So what can be done about it? Mainly just nipping this kind of humor in the bud whenever it begins to sprout up around you. It’s important to explain why being offensive isn’t humor that should be spread around, and hopefully a discussion can be had about it. I’ve had it work sometimes – others haven’t, but it’s no longer just something on the internet. Last week, we saw how far people can go when they are radicalized by memes, and it’s up to us to make sure it is the last.